If you’re a lesbian, gay, bisexual or transgender senior (50+) in need of just about any type of assistance, the Los Angeles LGBT Center’s Senior Services Department will either help or refer you to LGBT-welcoming service providers who can. 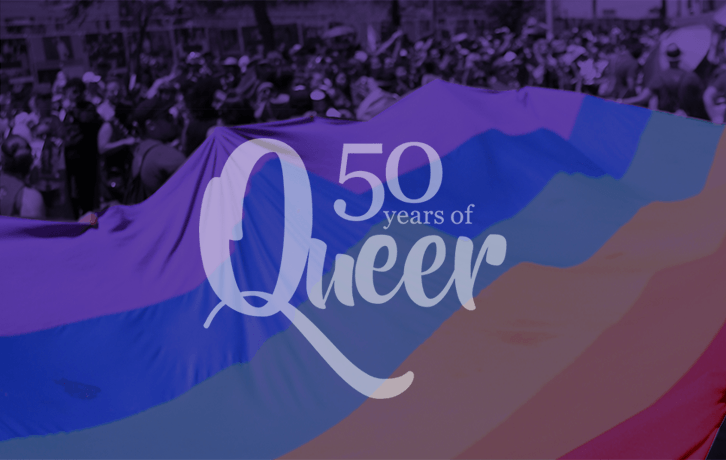 And if you’re one of the growing number of LGBT seniors looking to connect with people of your own generation we offer a wide range of fun programs, services, activities, and events specifically for you. Looking for affordable housing? We operate the nation's largest affordable housing development specifically for LGBT seniors: Triangle Square in Hollywood. Subscribe to our newsletter for program updates! The Los Angeles LGBT Center’s Triangle Square is the nation’s first and largest affordable housing complex for low-income lesbian, gay, bisexual and transgender seniors, located just two blocks from the Center’s McDonald/Wright headquarters building in Hollywood. Triangle Square offers residents all the services and benefits of the Center’s Senior Services Department and the comfort and fun of living in close proximity with other LGBT people. Use the Contact button to email or call 323-860-5860 for application information.